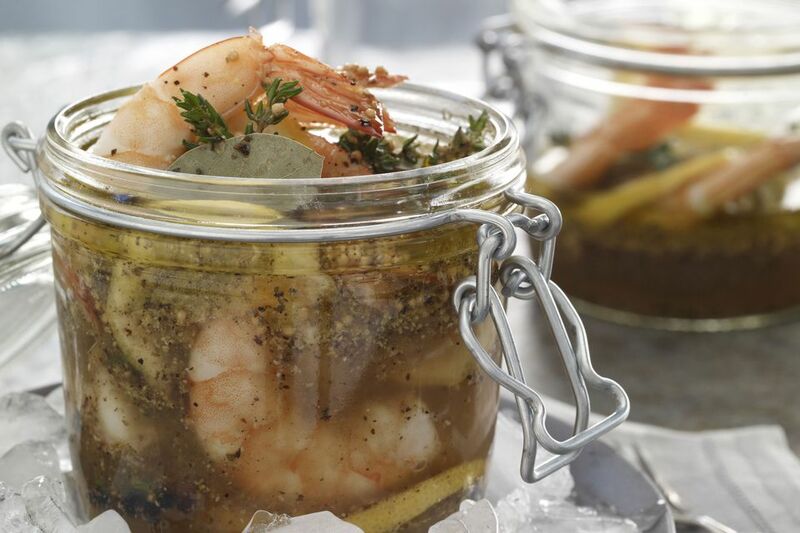 This pickled shrimp makes a nice appetizer to serve with crackers and spreads. Use the shrimp to top a tossed salad or add them to a pasta salad or potato salad. This is an excellent appetizer to serve at a party. Add crushed red pepper flakes for extra heat. Cook the shrimp in boiling, salted water for about 3 minutes, or until opaque and pink. Drain and let the shrimp cool. In a bowl combine oil, lime juice, vinegar, chives, salt, dill, pepper sauce, and capers. Add the cooked shrimp and toss to blend. Chill for at least 4 hours, stirring occasionally. Drain and discard the marinade. Serve the shrimp over salad greens with decorative toothpicks, or use in salads.